1. Start with one – setting yourself up for success is pretty much the opposite of reality TV. On reality TV you move to a Ranch and change every aspect of how you eat, move, sleep, etc. and sacrifice the rest of your life to lose the most weight. This makes for great TV, but fails 99% of the contestants and doesn’t even work for a short period of time if you can’t abandon your family. In real life single-tasking produces the best results. When people have one habit to change they have an 85% success rate, at two habits it drops to 35%, and at 3 habits the success rate drops to less than 10%. It feels like you’ll get better results by tackling everything at once, however the opposite is true – you’ll be busier, more stressed, yet have less to show for it. 2. Where should moms start? 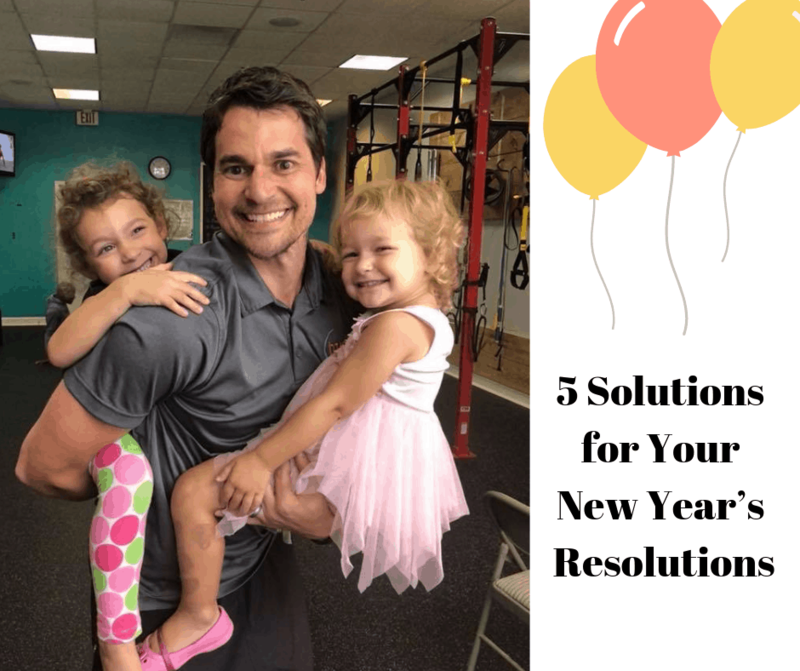 I’ve been coaching mostly mothers for almost 20 years and there are two skills that seem to make the biggest difference in success: (a) getting 3 workouts per week, and (b) eating 3-4 times a day without snacking. Why these two? Eating 3-4 times a day is a refreshingly simple and incredibly effective way to establish calorie control. When humans have (a) unlimited access to excessively tempting food and (b) graze all day long they almost always overeat. But, what about eating 6 small meals per day? I actually wrote and entire article on that myth over here. And the short version is three-fold (1) your muscles don’t atrophy without a steady supply of protein – research shows that it takes a full 60 hours with no food before your body burns it’s muscle. (2) The more often you eat the hungrier you will be. (3) Eating 6 meals a day was started as a weight-gaining strategy for bodybuilders when anabolic steroids became available. 3. Find your real motivation – I started exercising so people would stop calling me “blubber thing”, but that was short-lived motivation. Once I got past where people stopped making fun of me I found it impossible to stay consistent. I would then regain weight until teased again, and the cycle would continue. This – working out so that I would lose weight and not be teased – is extrinsic motivation, and this is the yo-yo cycle that it produces. Stepping off the motivation rollercoaster requires tapping into you intrinsic motivation. Intrinsic motivation is when you do something for it’s own sake – it’s fun, interesting, aligns with your deeply held values (vs. what others tell you that you “should” do), it makes you feel good, it allows you to be a better mother, etc. These days I primarily workout because it makes me feel good, and does more to make me a better father than anything else. 4. Dare to be fat – educator Charlotte Selver said, “if you dare to be fat, you can be thin.” What she means is that if you make it OK to fail and make mistakes, then you can succeed. The psychological concept is called ego involvement which is when your self-esteem is conditional depending on your results. An example is saying that you’ll like yourself more when you lose 20 pounds. Sure, getting fed up with yourself will give you a quick hit of rocket fuel, but, as you and I have already experienced, this ego involvement leads to sabotage. The reality is that in 2019 you will have days, weeks and even months where you lose no weight or even gain some. You will eat both cookies and ice cream in 2019. And, like every other parent, you will probably curse at your children at least once in the coming year. None of these things makes you a bad person. They’re opportunities to refine your plan, change your approach, understand that extenuating circumstances exist (i.e. caring for a dying parent will interrupt your weight-loss), apologize to your kids and strengthen your relationship. Most importantly noticing that you are making a mistake doesn’t make you a failure or mean you should give up. 5. Schedule it: Research has shown that you’re 200% more likely to follow through on your good intentions if you have a written plan for them that includes what, when and where. Furthermore, as a busy mom, your dance card is already full and people keep dumping stuff in your lap. So, if your workout time isn’t already reserved in your calendar in advance, then someone or something else is probably going to consume that time. You can still be flexible with a regular schedule and manage those commitments as needed, but without a regular schedule there is nothing to manage and your time just gets away from you when you’re busy. If we are still new to you… True 180 Personal Training for Women, Josef Brandenburg is the co-owner of True 180 – a women’s only personal training studio in Ballantyne; and a best-selling author. True 180 Personal Training for women is a safe space where women who don’t necessarily like gyms CAN get into the best shape of their lives in a safe and sustainable way. Find out more about us here, and/or find out more about getting started with a Spark!